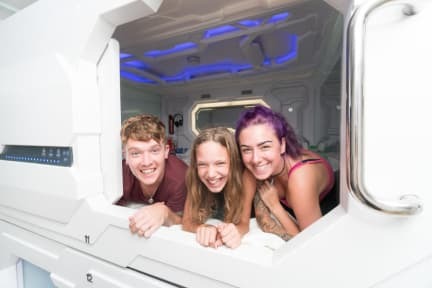 Seaview Capsule Hotel i Kota Kinabalu, Malaysia: Reservér nu! First Capsule Hotel in Kota Kinabalu. 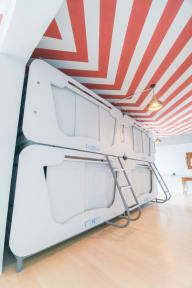 A capsule hotel (カプセルホテル kapuseru hoteru), also known as a pod hotel, is a type of hotel developed in Japan that features a large number of extremely small 'rooms' (capsules) intended to provide cheap, basic overnight accommodation for guests who do not require or who cannot afford the services offered by more conventional hotels. Seaview Capsule Hotel is strategically located in the heart of Kota Kinabalu City Center, offer 32 rooms with all the essential amenities for a refreshing experience with great value.